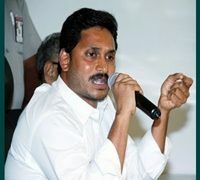 YSR Congress chief YS Jagan has been attacked by honey bees. The incident took place during padayatra in West Godavari. 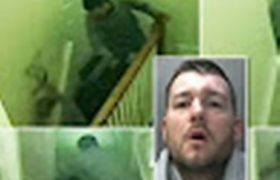 The incident was caught on camera. A student of an Industrial Training Institute(ITI) in Sonipat in Haryana allegedly shot at another classmate inside the classroom. The incident was caught on camera. The Mumbai’s Juhu airport could be seen inundated with rain water. It resembled like a lake. India’s commercial city life has been thrown out of gear. The fight between the two doctors has been caught on camera inside an operation theatre of a hospital, at Jodhpur in Rajasthan. It led to the death of the infant. A shocked onlooker captured a chilling video in Araria district of Bihar in which three people were feared drowned after a bridge connecting a village crumbled when they tried to cross it. Aditi Singhi was a second-year student in the IIS University in Jaipur, Rajasthan state. She fell from the 7-storey building and succumbed to injuries. Fellow students were in shock on seeing Aditi falling from the building and her father also present when the fatal mishap took place. Pedestrians and drivers can be seen escaping after a tree falls on a busy road in Gujarat’s Surat. 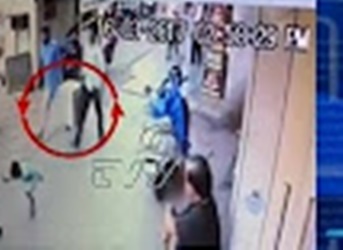 The shocking incident was caught on CCTV cameras. A driver of a Car who tried to reverse his Car without noticing the rear view mirror rammed over a fourteen-year-old girl, who lost her way and came into the middle of the road. Everyone got surprised and shocked to see that 14-month-old girl stood up with her feet. A woman in Lucknow was going on her scooter and two persons kept following her on their bike, by making lewd remarks against her. This woman borrowed a stick from a security and thrashed these men eve-teasing her, as no one came to her rescue. 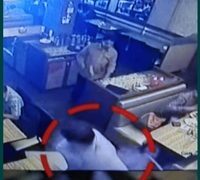 Watch the video that shows four unidentified men, who looted Rs. 1.5 crore from an ATM cash van of State Bank of India. 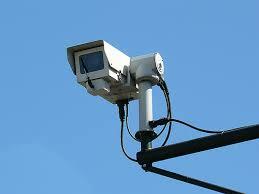 The incident took place in the Dharavi area in Mumbai on Thursday. Principal Caught on Camera Demanding Bribe from a Tenth Student in Hyderabad which went viral in social media. She demanded Rs 50,000 to manage attendance of the student in MEO office. Anguished student’s parents recorded all this incident in cell phone later which went viral. 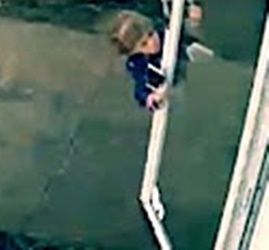 The video shows the girl playfully skipping to the front door of her home and tried to open the safety door. But the strong gusty winds prevented her doing so and she was seen flying back but still holding on to the handle. Luckily, she wasn’t hurt. The Barren Island, known to be one of the active volcanoes, situated some 140 kilometers northwest of Port Blair in the Andaman Islands, recently became active and violent again. 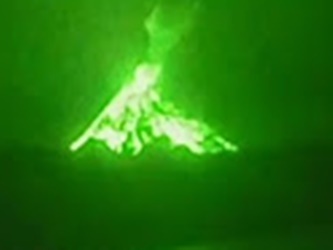 The volcano is seen active again in the dark and started erupting the lava and other ingredients along with steam, smoke. A pickup truck has fallen from a flyover in Thailand. 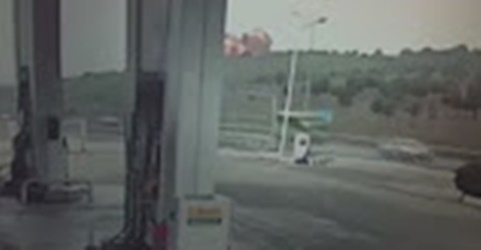 The video footage shows a speeding truck was hit by another speeding vehicle.The horrific road accident scene was caught on the camera. According to the reports, the truck has been broken into many parts and reportedly the driver died on the spot. On a tip off about her husband’s another marriage, the wife reached a place where she saw her husband is trying for another marriage. His wife has thrashed her husband before the public. 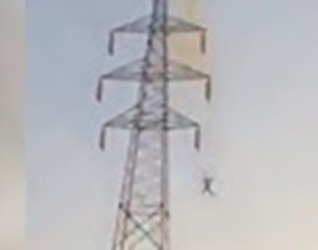 The incident that took place in Jalandhar in Punjab was caught on camera. Police have arrested the man.